Acrylic, supercovering, washable, extrawhite water-based paint. Opaque effect. Product included in the tinting system “GeoSystem”. It is appliable on any internal and external substartes. 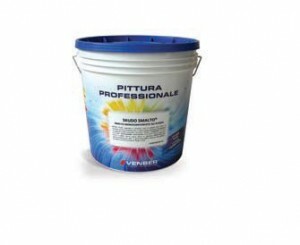 Acrylic, highly covering with a high resistance to the washing cycles. With two coats it covers black substrates, it is mould resistant with a very good appliability. Low viscosity.